Building a stronger plan means not only maintaining its financial strength and viability, but also providing support and services that empower members, and give them more control over their retirement security. In 2017, OPB implemented several strategic initiatives designed to achieve our primary goal: to maintain the financial health and affordability of the PSPP over the long term so that it delivers cost-effective retirement security for today’s and tomorrow’s public servants. OPB has achieved that goal over the 28 years we’ve been managing the PSPP. Through some very difficult conditions during that period, our management of the Plan has protected pension benefits while maintaining among the lowest contribution rates in the public sector pension plan industry. While we are proud of that track record, our focus is to position the PSPP and OPB so that 30 years from now that track record remains intact. 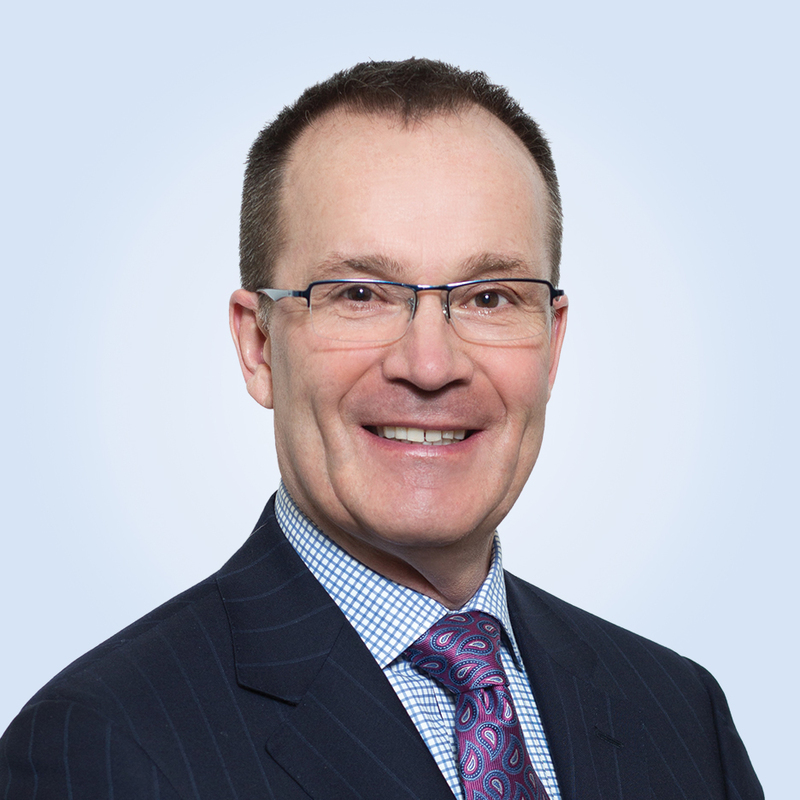 Three key initiatives were: the launch of the Investment Management Corporation of Ontario (IMCO); the strengthening of the Plan’s funding through a modest increase in regular matching contributions; and the improvement of our funding outlook through building more caution into the assumptions we make about the future in our Plan valuations. In 2017, we successfully launched IMCO, the Investment Management Corporation of Ontario; this marked the end of a five-year journey. We believe pooling our assets under IMCO’s management will help us continue to protect the health of the Plan for future generations. Not only will IMCO provide the necessary scale to achieve higher risk-adjusted returns than OPB could on its own, but it also offers some immediate upside. A great example of that is IMCO’s success in attracting a new, world-class Chief Risk Officer, who joined IMCO in early March 2018. Pooling our assets under IMCO’s management will help us continue protecting the health of the Plan for future generations. We are working closely with IMCO, and its executive team – many of whom are familiar to OPB from their time with us – to ensure that it meets our expectations. I am very pleased that Ken Lusk, our former Head of Private Market Investments, agreed to stay on with us in the role of OPB’s Chief Investment Officer. Ken is responsible for setting OPB’s high-level investment strategy for implementation by IMCO. He is also responsible for overseeing IMCO’s management of our assets. As I mentioned in my message last year, OPB will continue to own the PSPP assets, and set the Strategic Asset Allocation, or asset mix, which will govern how IMCO invests our assets. Our assets are fully segregated and insulated from the liabilities of other IMCO clients. Together with our Board of Directors, as well as the two OPB-appointed representatives on the IMCO Board – former Chair Vincenza Sera and former Chair of the Pensions Committee Hugh Mackenzie – I am confident the structure in place will ensure we can contribute to driving high performance at IMCO and maintain a productive working relationship with the organization. We take a disciplined, long-term approach to managing the financial health of the Plan. As part of that approach, we regularly conduct in-depth reviews of the cost of the pensions promised by the Plan and the adequacy of the contributions to fund those pensions. As we have reported in past annual reports, the cost of pensions is rising due to our members and pensioners living longer than expected and due to the prolonged low-interest-rate environment. This means that, without an increase in contribution rates, members would be receiving more pension dollars than they are currently paying for through their contributions. This is why in 2017 we recommended that the Plan Sponsor increase contribution rates for members by 1% of pensionable salary, matched by employers. The Plan Sponsor accepted that recommendation, and the increase is being implemented in two phases of 0.50% each. Phase 1 took effect in April 2018 and phase 2 will take effect in April 2019. The funded status of the PSPP at the end of 2017 is approximately 97%, up from over 96% at the end of 2016. This represents an improvement of approximately $200 million. However, that is not the full story. Embedded in our current funded status is an increase in the present value of the cost of pensions due to lengthening lifespans and low interest rates. The increasing average lifespan of our members and pensioners is significant. Our analysis shows that a 62-year-old retiring this year is expected to collect their pension for four and a half years longer than was expected for a 62-year-old who retired in 2003. In fact, we now have more than 10 times as many pensioners over the age of 100 than we did 20 years ago even though the Plan membership has only grown by 25%. That we were able to improve the funded status of the Plan after strengthening our Plan assumptions, which increased the expected cost of pensions, is a major accomplishment and a tribute to our very strong investment return of 10.8% during 2017. We were able to improve the funded status of the Plan after strengthening our Plan assumptions – a major accomplishment. As we look forward, we do see risks, particularly from the impact of continuing improvements in lifespans on the cost of pensions promised under the Plan. Earning investment returns that meet or exceed our 5.6% discount rate will require investment and investment risk management excellence as well as a willingness and ability to expand our investment strategies. The investment volatility early in 2018 reminds us that there is risk in investing that must be well managed in the short term to produce strong long-term results. OPB has successfully navigated through volatile conditions in the past. Collectively, the launch of IMCO, the increase in our contribution rates, the strengthening of our valuation assumptions and the strong 2017 investment performance position us well to maintain the financial health of the Plan far into the future. Going forward, we expect to continue to apply excess investment returns to further strengthening our longevity assumptions and reducing our discount rate. Client service excellence is another imperative for OPB. On the client service side of the business, we had yet another busy year managing additional changes to the insured benefits program on behalf of the Plan Sponsor. We also had a record year for our team of Client Service Advisors and enhanced our client education program, which our Chief Pension Officer, Peter Shena, speaks to in his CPO message. We had a record year for our team of Client Service Advisors and enhanced our client education program. We continue to proceed with the planning for a renewal of our pension administration business processes and IT systems. In 2018, we will lay the foundation for this exciting and transformative project, which will enable us to be more responsive and adaptive to our clients’ needs, while replacing key technology systems so we can continue to enhance the client experience. I am happy to announce that in late 2017 TVO voted to join the Plan. TVO’s choice to join the Plan represents yet another vote of confidence in the strength of the PSPP and in OPB as one of Canada’s leading pension administrators – a milestone for which we’ve been recognized yet again this year by benchmarking firm CEM, moving up to fourth globally in the rankings.